Thomas Kinkade was known as the "Painter of Light™." 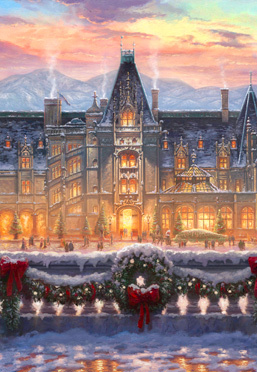 His interpretation of Biltmore House makes it warmly personal. He utilized glittering lights to suggest a festive evening affair in progress.